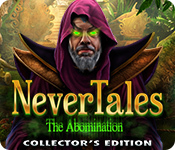 Nevertales: The Abomination Collector's Edition is rated 3.6 out of 5 by 24. Rated 5 out of 5 by tootierufflz from Sad When It Ended.. As another reviewer stated, I'm not going to go in depth regarding the mechanics or story because others have done it excellently. My review will be much more of my broad impressions of the story and mechanics. This review is based off playing the entire CE. 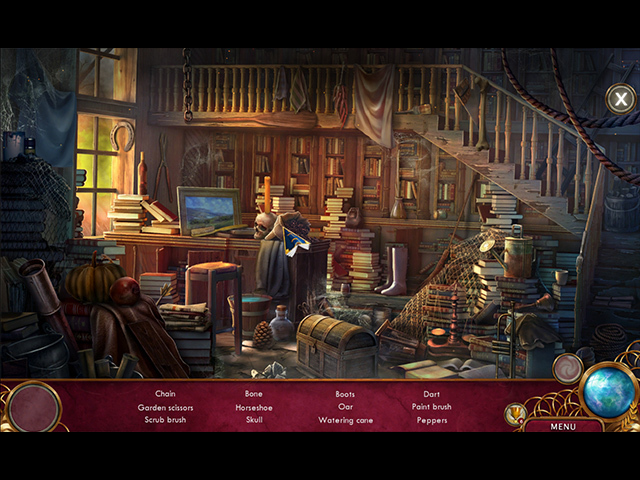 The story in this game is fantastic, indeed one of the best stories I've ever seen in a HOPA (Hidden Object Puzzle Adventure). It absolutley kept me invested and entertained throughout my entire 3 hour playtime.The story is greatly assisted by the visuals which are stellar. Every realm is very detailed, unique, and memorable. The gameplay is what you would expect of the genre, with some unexpected twists added to the formula. The puzzles are good, albeit I wish they would have been a little harder. 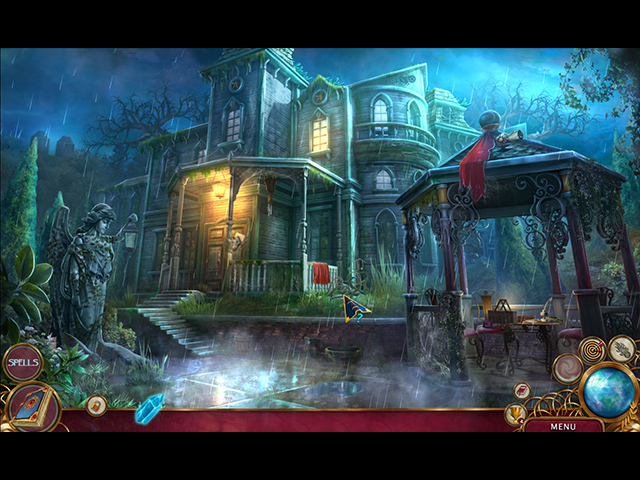 The hidden object scenes are very well put together and I really enjoyed them, depsite how scarce they are. The voice acting is what you would expect, it's not terrible, but not fantastic. It gets the job done, but, you will be enjoying the game so much, you won't really notice it's not as good as the rest of the package. The only downside, that I can think of is the length. It's a pretty short game so, if you are looking for a multi-day experience, you might consider looking elsewhere. If you are less experienced with the genre, the game might take you longer. Overall, I HIGHLY recommend this game. If you are considering buying it, or you enjoyed the demo, just do it. You won't regret it! Rated 5 out of 5 by aguffey121674 from Best game I've played in years!! 1st game I've played in this series. I loved it! Great storyline, awesome graphics and level of difficulty was just right. I will definitely be playing some of the earlier ones from this series and I'm looking forward to the next game! Rated 5 out of 5 by shelterhill from Excellent game! This is such an enjoyable game, I have played for two days now, still not finished, love to enjoy the scenery, beautiful graphics so no punishment for admiring while looking for the morphing objects. There is nothing I can find that is not good about this one! Really happy with my buy and hopefully more games will be as great as this one. Rated 5 out of 5 by sullysdragons from MadHead games never fails to impress As usual, I enjoyed MadHead's game. The story line was interesting and kept me caring about the outcome. There was tons to do, and I'll admit, I hit the hint button more than once. You travel to different realms saving your world(s) from extinction. I always look forward to their games and have every one they've put out on BigFish. Rated 5 out of 5 by yanochka from I think they got it Hi people! I shall not describe the game’s mechanics: other players have done it beautifully already. The best part is that developers finally realised that copy-paste is no longer an option. Obviously there is nothing new about the whole saving the world thing, however there is a beautiful twist that strictly speaking all the characters (apart from the immediate family of the author and probably the dog) are just different derivatives from the mind of one man. That adds an additional twist and I wonder if psychiatrists might be interested) The rest is very good as always with Mad Head, even if music migrates from one game to another, which I personally don’t mind since I like it. And a minor twitch: those of us, who are blessed (or cursed) with a good visual memory will notice a flower which keeps reappearing from time to time since the first Beyond. Hmmm, guys? Could you at least change its colour or some twists of its leaves? Rated 5 out of 5 by Majestyx12 from Family is everything Based on the finished game with bonus material. I play a mage who has power by spells. My world is crumbing because the author who put us into existents is divorcing and not himself. My quest leads me to four different realms. This maker is generous with the extras. I found some morphs very hard to find. I would have liked them easier so that I wasn't waiting and watching for so long. They are in every scene and most hops. 29 in the scenes and 18 in the hops. You also have a collectible in every scene, so 29 of those. I liked that they weren't the normal token Mad Head swirl collectible. After you finish you have the Ultimate hops, 35 piece jigsaw puzzle and the pigeon puzzle. You can replay 18 hops and 10 music. Concept art 13, wallpaper 16 and 15 characters. The good thing about having the wallpaper and characters separate is that the wallpaper has no character and no game stamp. Just a nice scene. 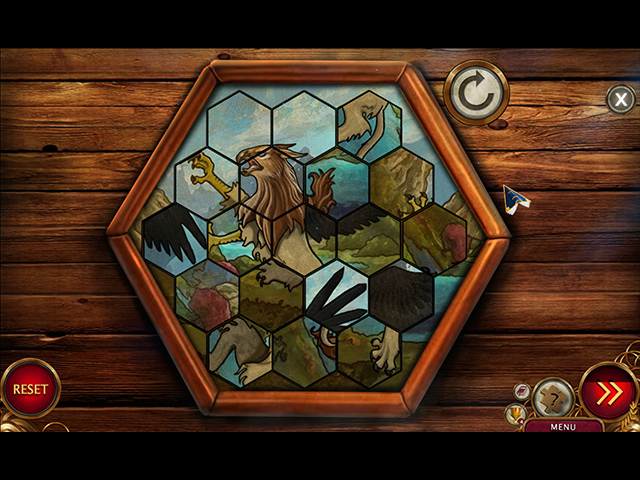 I liked the hops and the puzzles in this game. The abilities were ok at first but I got used to them and they were fun for me. Speaking to the animals and the levitation were my favorites. I felt like I was the one using these abilities. My favorites in this series are Legends and Shattered Image. This game has 5 chapters + bonus. Spoiler alert. I loved the dog, elephant and crab in the main game and the voodoo heads in the bonus chapter. The under the sea world was my favorite realm. Rated 5 out of 5 by kandinsky from FISHERMAN A writer's sense of inspiration can flag and so can a game developer's and so can a player's. The new Nevertales which I just played starts from the failure of a writer's sense of being in touch with his muse,his inspiration. Is it the work also of a developer, MadHead which also is repeating itself a little? or is the game's inspiration fresh? and what about the player? Late in the game the ,to me, most interesting character appears who is the fisherman. He says several things. Who is he? does it all hold together? well not simple questions I think. but first meet him maybe and he said "It's the journey that counts." and again "it's the journey that makes the person." If that interests you (as HOPA games go it seems pretty deep to me. look up and compare C.P.Cavafy poem "Ithaca". Anyway if that interests you then make this journey!